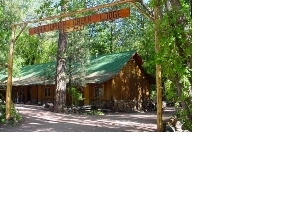 Christopher Creek Lodge is the only lodge located right on the bank of spring fed Christopher Creek and is one of the oldest continuously operated businesses under the Mogollon Rim. 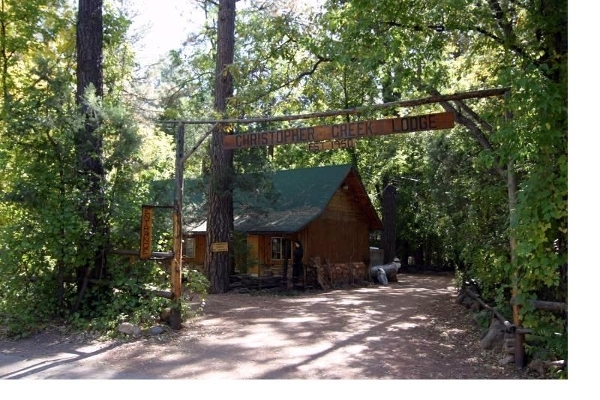 The first cabin constructed at Christopher Creek Lodge, was built in 1950 and served as the Original Christopher Creek Store and Bar. 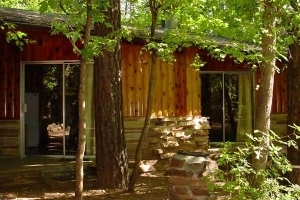 In 1953, Christopher Creek Lodge entertained its first overnight guest. For generations folks have come to enjoy this place during all four beautiful seasons. This place is a paradise and it is not uncommon during the peak season for people to have to get reservations months in advance. It is our goal to provide an unforgettable (and affordable) experience! From the time that Christopher Creek Lodge opened, it has been the desire of the owners to provide an affordable place where people could get away from the congestion of the city and enjoy the beauty of the Arizona high country. The historic Christopher Creek Lodge, Est. 1950. 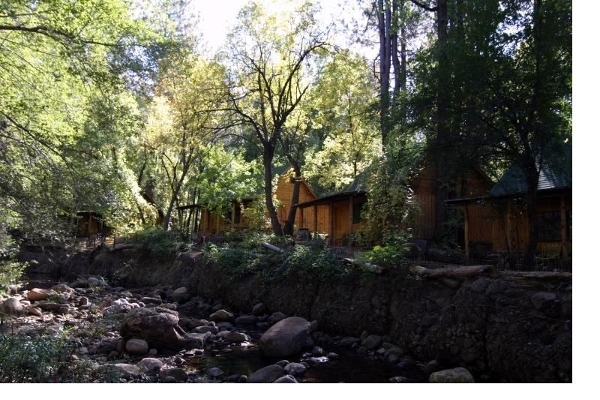 The creek runs right through the lodge year round! 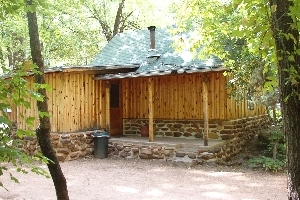 1 Founders Cabin. 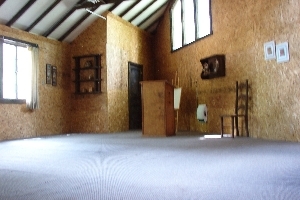 This is the original building in Christopher Creek built back in 1950. It has a special antique decor, Ben Franklin Fireplace, full kitchenette, Kingsize bed, cable TV, BBQ. 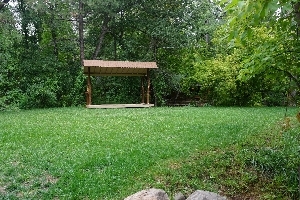 Located right on the creek! 6 Deluxe Freestanding Cabins with Ben Franklin Fireplace, full kitchenette, Kingsize bed, cable TV, BBQ, plus loft w/ additional beds and right on the creek! 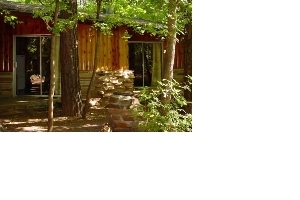 2 Fisherman Cabins with Ben Franklin Fireplace, full kitchenette, Queensize beds, cable TV, BBQ, loft w/ additional beds and right on the creek! 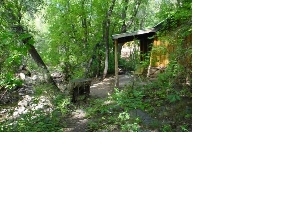 6 Motel-Cabin Units with faux fireplace, (3) have Queen beds, (3) have Full beds, all have a loft with 2 additional beds. Cancellation Policy: If we are provided at least 15-days notice prior to your arrival date you can receive a full future credit (usable within 1 year), or a full refund minus a 10% cancellation fee. 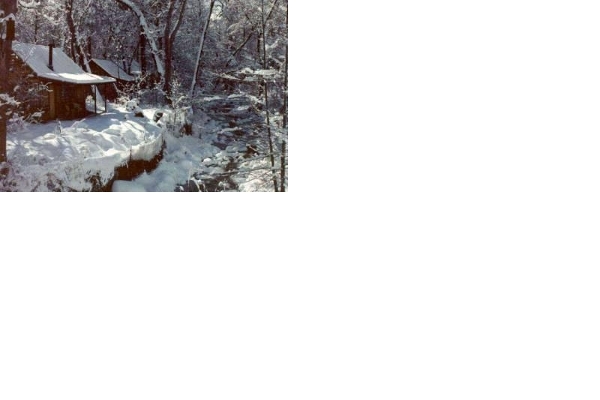 Should you need to cancel a reservation, please email: info@christophercreeklodge.com. The normal check-in time is between 3:00pm and 7:00pm. Check-out time is by 11:00am; other times by prior arrangement. It is helpful if we know your approximate arrival time. We will do our best to fulfill any orders for early check-in (no Saturdays) and late check-out (no Fridays). Small standing BBQ pit/grill outside of each cabin for use with charcoal only. No exceptions! No outside fires allowed except in the two designated fire pits (unless the fire danger is high and no fires are allowed at all, including charcoal). One vehicle per cabin for parking in front of the room. Additional vehicles need to park in a shared parking area. There are skunks, raccoons, bears and birds of prey that frequent the area. Please be sure to seal trash securely. Only pets that are well behaved, friendly and supervised are allowed at the lodge. Pets must be leashed when outside due to safety concerns and in accordance with the state's leash law. Pets are not allowed to be left alone in cabins unless crated and only then for a very brief time. Pets must immediately be cleaned up after. For your convenience we have scoops located in a couple of areas. The septic system demands that we be cautious of what we discard into kitchen drains and toilets. A list of non-acceptable items is provided in each room. When in doubt - don't. Nobody likes a backed up septic. Guests are expected to do some minimal housekeeping and exercise care of their room. All cleaning is handled by our folks once a guest has departed. If the place is left a mess an additional minimum $25 fee will be assessed. We expect all guests to follow the good general rule of leaving a place better than you found it. For over 60 years this historic lodge and Christopher Creek have been one of the most beautiful places in Arizona and we want to keep it that way. All rooms receive a post-occupancy inspection and by booking a reservation you acknowledge responsibility for any damages or theft incurred during your stay, which will be charged to your credit card. 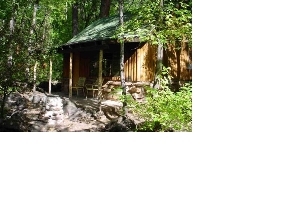 Christopher Creek Lodge is comprised of real log cabins and set right in the middle of the forest. We provide a peaceful and cozy getaway. We are not a campground nor are we Caesars Palace.